Dr Sam Bottrill is studied psychology at University College of London, she is a qualified yoga teacher (Yoga Alliance accredited), Yoga Therapist for Mental Health and Senior Clinical Psychologist specialising in Eating Disorders at the Maudsley. She lectures and supervises on the Minded professional training and runs Yoga Therapy for the Mind 8-week courses in North and Central London. Inspired by her own experience of the benefits of yoga to mental wellbeing and a growing awareness of the inextricable link between mind and body, she completed her initial teacher training with Yogi Vishvektu at the Anand Prakash Ashram in Rishikesh (India) at the beginning of 2010. She went on to train as a yoga therapist and now teaches yoga and mindfulness to teenagers with Eating Disorders within the NHS. 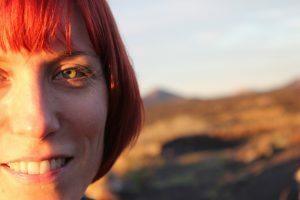 Her specialist academic interest is the role of yoga and mindfulness practices within the treatment of Eating Disorders.